Europe’s leading business news TV channel CNBC Europe has commissioned a Studer Vista 5 digital audio console as part of a substantial refurbishment programme of its facilities in the City of London. 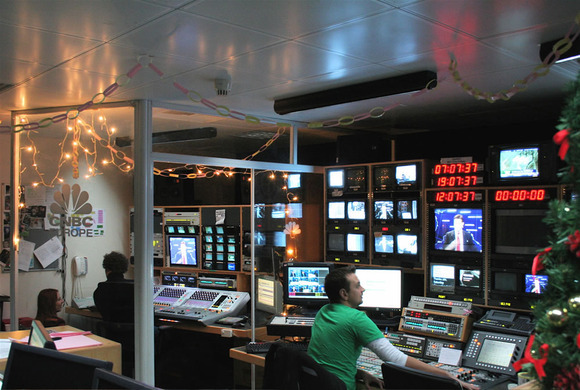 CNBC Europe uses two television studios for its daily live operations, which broadcast to the most influential figures in the European financial sector. Having taken the decision to upgrade its main audio facilities to a digital platform, CNBC Europe’s Head of Technology Neil Burt headed the search for a new console. CNBC Europe has a huge requirement for clean feed working. Local programme production includes four, five, maybe six guests per show. A whole range of external sources from the CNBC satellite network bring news from the main financial markets all over Europe. The studio processes feeds to tower connecting with a number of cameras in banks and trading floors in London, and there are pipelines to the US and Asia to pick up feeds from those territories.